EVEN BEFORE BEING published, the Guerin Report had already brought down a Minister for Justice. It was exactly 67 days ago that the Cabinet asked senior lawyer Seán Guerin to investigate serious allegations made by garda whistleblower Maurice McCabe about the goings-on in one area. With so many controversies swirling around An Garda Síochána in recent months – the bugging of GSOC, the fixing of penalty points, garda whistleblowers, the resignation of Garda Commissioner Martin Callinan – it can be easy to lump all of them together as evidence of misconduct or malaise within the force. However the Guerin Report deals with a very specific set of allegations, centred around one man. It involves a man who murdered a woman in a Limerick hotel room, and whether or not he should have been out on bail for previous offences that he carried out, including attempting to abduct a 5-year-old girl from her home. The report looks at whether the gardaí acted inappropriately – or, more seriously, carried out a major cover-up. It also looks at what then-Minister for Justice Alan Shatter knew, when he knew it, and what he did about it. First things first: who is Sean Guerin? Seán Guerin is a senior barrister who has a lot of experience in criminal law. He was the prosecuting counsel in the trial of John Dundon for the murder of rugby player Shane Geoghegan in Limerick, among other high profile cases. Why did the government ask him to write a report? Earlier this year, Sergeant Maurice McCabe gave a dossier to Fianna Fáil leader Micheál Martin containing allegations about how gardaí had dealt with several cases involving abduction, assault and murder. The dossier was passed to Taoiseach Enda Kenny, who said that the documents contained “extremely serious allegations of garda misconduct”. Guerin was given several weeks to carry out an independent investigation to see if there were grounds to establish an official statutory inquiry into what happened. How big is this report? And who has read it? The report runs to more than 300 pages. Taoiseach Enda Kenny and former Justice Minister Alan Shatter both received a copy earlier this week ahead of its publication today. What exactly did Guerin look at? Guerin was asked to assess the investigative methods that were used by gardaí in the ten sample cases in question. As part of this, he interviewed Sgt Maurice McCabe several times, as well as members of GSOC (the Garda Ombudsman). Guerin says it was “beyond the scope” of the report to “make any determination of the complaints Sgt McCabe has made”. However he concluded that the allegations were serious enough to warrant an official inquiry. What are the cases involved? The most important of the cases revolve around Jerry McGrath, who was convicted for the murder of 33-year-old Sylvia Roche Kelly in a Limerick hotel. The murder happened in December 2007, but McGrath had carried out other crimes earlier that year. In April 2007, McGrath had attacked taxi driver Mary Lynch after getting her to drive him to what he said was his sister’s house in Cavan. Lynch told RTE’s Prime Time in February that McGrath had grabbed the keys to her car before seriously assaulting her. “He stood back and started kicking me and then started pulling my hair and he bit me very badly on the shoulder,” she said. I knew that if he got me out of the car I’d either be raped, murdered or both. Five months later, while on bail, McGrath tried to abduct a 5-year-old girl from her home in Tipperary in the middle of the night. He was caught by the child’s parents who heard a noise and discovered McGrath on the stairs with the child in his arms. While in court over the attempted abduction, gardaí failed to raise the fact that McGrath was already on bail for the assault on Mary Lynch, and he was once again released on bail. Just two months later, while he was still out on bail for this second crime, Jerry McGrath murdered Sylvia Roche-Kelly in the Clarion hotel in Limerick. The family of Roche-Kelly have said they want answers to what happened, and that they fear another cover-up in relation to how gardaí dealt with Jerry McGrath prior to her murder. What other cases are involved? The remaining cases include details of three assaults, one case of falsified garda records, and an incident involving false imprisonment which was not investigated properly, according to Sgt McCabe’s dossier. When did Maurice McCabe first raise the issue? Sgt McCabe is believed to have gone to the authorities in May 2008, when he was stationed in Cavan-Monaghan. 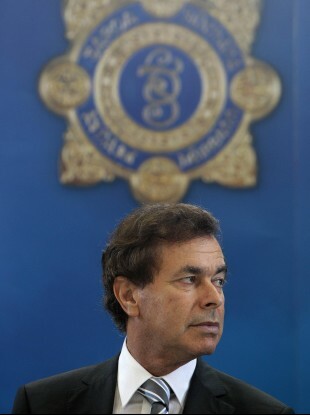 When did Alan Shatter find out about the allegations? Oliver Connolly, who was sacked as the garda confidential recipient earlier this year, said the Minister was made aware of issues around these crimes two years ago. ”Shatter would have read your report in detail, I know he did,” Connolly told Maurice McCabe in a recorded conversation. What did Alan Shatter say about the report in his resignation letter? In his resignation letter, Alan Shatter said he had only read three chapters of the report but that it had been enough to prompt his resignation. I would, however, be less than honest if I did not also record my concerns and reservations with regard to his [Guerin's] report and, in particular, certain conclusions reached by him. He noted that there were difficulties with GSOC handing over some documents to Guerin. He also said that he had expected to be interviewed for the report but never was. “I would have expected, if it was his intention to reach a conclusion or form an opinion with regard to my approach or the extent of my concern with regard to the issues raised by Sgt McCabe, that he would have done so,” he wrote. Seán Guerin recommends that the allegations should now be the subject of a statutory inquiry. The Cabinet is likely to act soon to set up this inquiry, given the seriousness of the allegations. The next question will be that given the Minister for Justice has already resigned over the report, whether there will be serious repurcussions for other people who were involved in the cases, including members of An Garda Síochána. Email “Explainer: What is the Guerin report and why was it needed?”. Feedback on “Explainer: What is the Guerin report and why was it needed?”.